Seeing a shuttle this close really gives you an appreciation of how massive they are. I've always wanted to see one take off, but this will just have to do. Let's be sure history never forgets the name Enterprise. 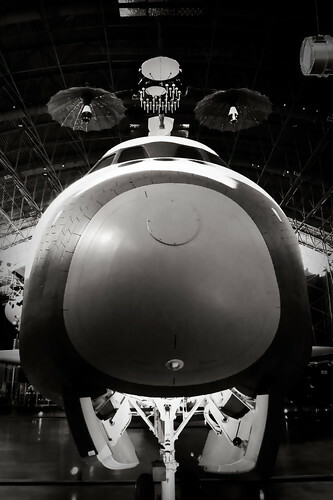 As long as we can visit one at the Udvar-Hazy Center, maybe we won't.